Our professional team of practitioners and teachers will help you feel supported on your journey as a parent. 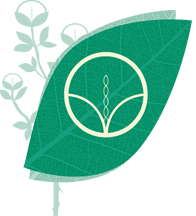 Kundalini House provides a centre where parents can receive the best possible complementary healthcare leading up to their pregnancy and beyond. Feel empowered to choose the birth that instinctively feels right for you and your family. The following pages will provide you information about our fertility support, pregnancy support, and movement classes throughout this time of your life. Please contact us if you require more information or guidance for the best possible treatment or class. Massage can play a meaningful role in maintaining health and comfort during this important time of your life. Kundalini House has a team of professional and passionate practitioners to help guide and look after you during your pregnant months and beyond. Natural Induction stimulation can be given before or after your due date to help prepare and relax your body and mind. A holistic approach to fertility is encouraged by our practitioners who will discuss lifestyle and diet choices as well as the best treatment. Mums & Bubs Yoga is a great way for new mums to reinvigorate and rehabilitate their bodies after pregnancy and birth.